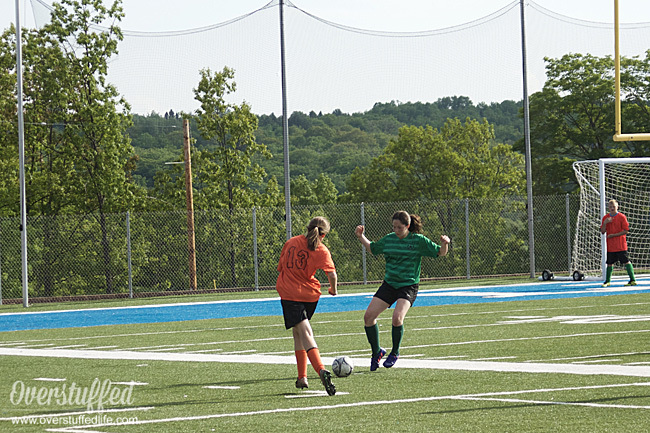 My daughter, Chloe, isn't a little girl running around on the soccer field anymore. 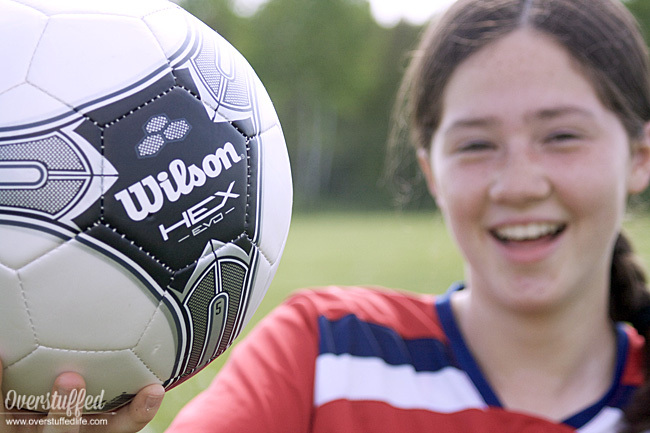 She is a teenager who is super serious about playing soccer and maybe even a little obsessed with it. In the last 10 months she has played on 3 different teams and is becoming incredibly self-sufficient when it comes to her soccer bag and whatever's inside it. It's really important for me to know that she has what she needs in that bag, though! I can't always be to all of her games—the high school team she played for this spring had away games that were several hours away, and I even have to miss home games here and there. I want to be sure that when she grabs her soccer bag that she is totally prepared for any eventuality at the field. Chloe and I have created a list of the things that are in her bag—some of them are things she feels are very important as a soccer player, and some of them are things I feel are very important as a soccer player's mom. Essential gear—includes all the obvious things like shin guards, goalie gear, cleats, socks, etc. In the past, I have not been a fan of the popular sugary sports drinks—I feel they defeat their purpose with all of the sugar and added dyes. I recently discovered BODYARMOR sports drinks and I am really excited about them because they provide superior hydration with coconut water, electrolytes, and vitamins. They are high in potassium and low in sodium which is important for these kids out there giving their all on the soccer field! 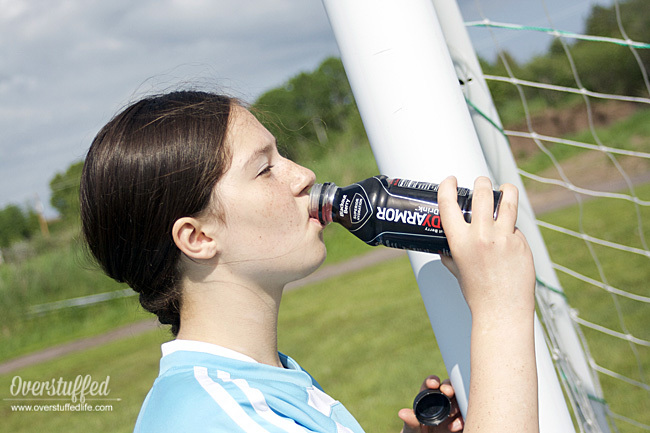 There are no added dyes or artificial sweeteners and it is a healthier alternative to other sports drinks. 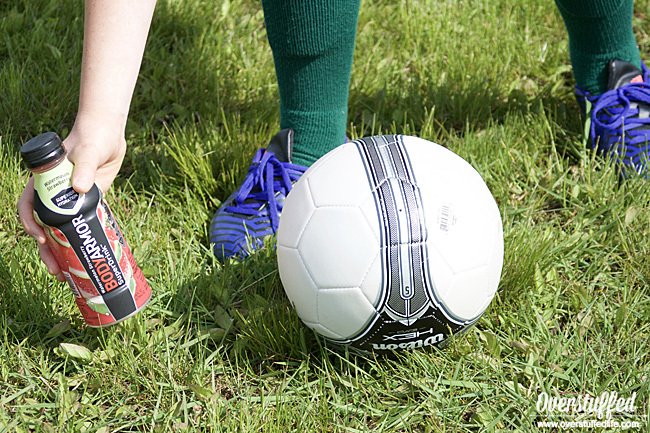 I feel great about sending Chloe to the field with BODYARMOR sports drinks in her bag. Chloe is excited about them because they come in several different flavors: fruit punch, strawberry-banana, tropical punch, orange-mango, mixed berry, blackout berry, grape, strawberry, and lemonade. I have to admit, they are pretty fun flavors! If you're in Michigan, like I am, you can purchase BODYARMOR at Kroger or Meijer stores. Check the website to find out how to purchase them in your area. Download a coupon here: BODYARMOR coupon. 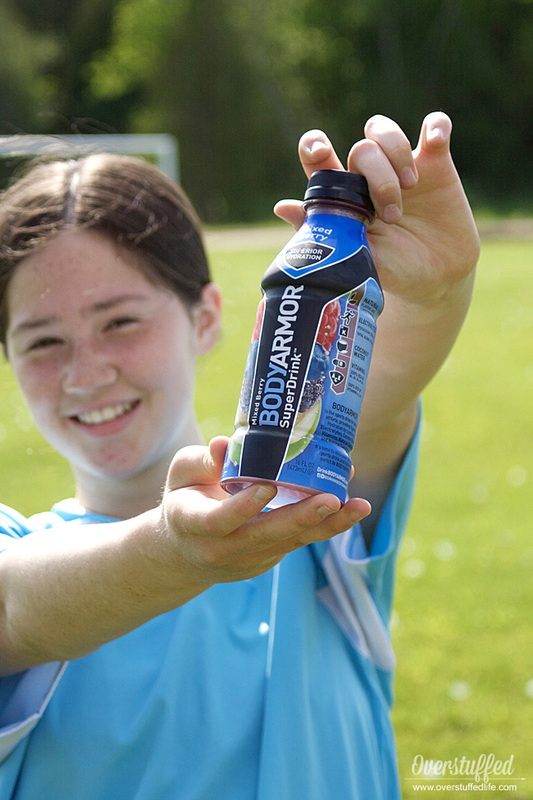 If you've got a young athlete who is working to be their best, click here to find out how they can become the next BODYARMOR athlete!